From meatless, bloody burgers to egg-free mayonnaise, animal-free foods are tasting better than the original — and they’re saving the planet. By now, most environmentally-woke people understand the impact that meat has on the planet. It’s not just the ethical quagmire of meat that has 16 million Americans opting for a vegan or vegetarian diet, but also the catastrophic effect meat consumption has on the planet. However, 16 million people is just 5% of the population. If every American went without meat for one meal per week, the carbon dioxide savings would be equivalent to taking more than half a million cars off US roads. But how can you convince a meat-loving carnivore to switch up their favorite food without feeling like they’re sacrificing flavor? That’s the mission of two new companies that aim to revolutionize the food market with groundbreaking technology. Impossible Foods is a Silicon Valley startup that is determined to make a dent in the meat market. A team of scientists are investigating how to recreate your favorite dishes using molecular biology to replace beef products with carefully constructed plant proteins. Molecular biologists researched what is it about beef that makes it taste so good, and they managed to recreate an authentic burger using not-so-secret ingredient: heme. According to Impossible Food’s website, heme is “exceptionally abundant in animal muscle.” It’s responsible for the color and taste of meat, and it is produced using fermentation. The “bloody” burger created by Impossible Foods has all of the characteristics of meat — so much so that meat-lovers claim they cannot tell the difference between Impossible’s vegan burger and a real burger. Producing the Impossible Burger requires a quarter of the water used to produce the same burger from a cow, 1/20 of the land, and 1/8 of the greenhouse gas emissions. In fact, switching from a conventional burger made from cows to a quarter-pound Impossible Burger saves as much water as a 10-minute shower. It eliminates the greenhouse gases emitted by driving 18 miles in an average car. And it liberates 75 square feet of land for wildlife. 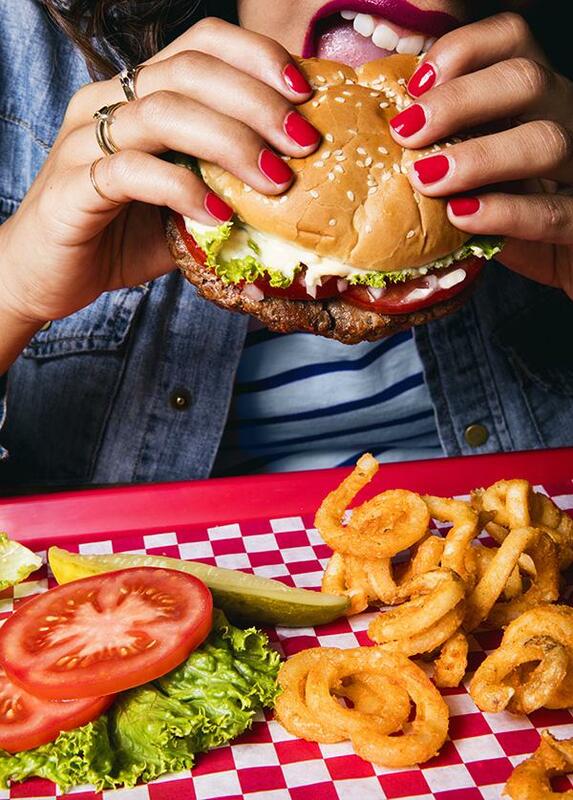 Impossible Foods writes that the Impossible Burger is only the beginning. Chicken, pork, fish, and yogurt are also getting an Impossible makeover in the next few years. Impossible Foods isn’t the only Silicon Valley startup putting meat and dairy in their crosshairs. Hampton Creek has been slowly changing the condiment game beginning with mayonnaise. Just Mayo is available in most major grocery outlets in the USA. It tastes exactly like regular mayonnaise (perhaps even better), and yet, it contains no dairy products. Hampton Creek has also launched cookies, cookie dough, and a range of dressings that taste just like the real thing — sans animal products. So, how do they do it without the consumer noticing a difference in taste or quality? In 2014, Hampton Creek hired Dan Zigmond from Google to help them put together an exhaustive database of plant proteins. The computer uses a form of artificial intelligence, also called deep learning, to match plant proteins to the intended flavor. A team of chefs fine-tune the results to create products that effortlessly mimic the flavor of the original product. Just Mayo was so successful that it attracted the wrath of food giant Unilever, responsible for Hellmann’s and Best Foods mayonnaise. Unilever filed a lawsuit against Just Mayo, claiming that a product with that name should, by definition, contain eggs. Unilever dropped the lawsuit two months after filing. Josh Tetrick has taken it all in his stride, telling Fast Company, "Food is a trillion-dollar market. There’s room for more than one singular company." "If every American went without meat for one meal per week, the carbon dioxide savings would be equivalent to taking more than half a million cars off US roads."